Unless you are a business trying to attract the Justin Bieber crowd , one of the best social platforms is Google+. Google just rolled out an update that can make your business postings easier and I’ll give a shoutout to Alan Henry one of my favorite technical bloggers. 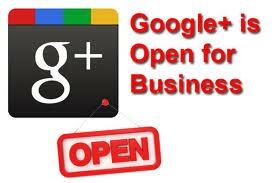 I use Google+ for business and personal posting. My personal use is restricted to family and a few close friends numbering no more than 25 people (I have a big family.) Google+ allows me to restrict postings easily to the Family or Family and Friends or just a few selected people. It’s easy to do. Facebook was a nightmare of exposure and unintended sharing that I could not keep up with and once my youngest child reached 17 I abandoned it. As it turns out Google+ is one channel that I use to promote my small businesses and to participate and learn about technical and professional happenings. I’ll throw in LinkedIn here as another resource for the sake of completion. My problem is that as I read and think about different topics it would wind through both personal and professional topics. When I want to share a post I have to log out of Google+ on my phone and log back into the other account. I find myself weaving in and out and making a simple post is aggravating. This update makes it easier to switch between accounts and makes my life, and yours, a little easier.